Oh yes, there IS a fisherman in the background...he blends with the rocks rather well. I have new items to post, too, including an interesting acrylic I think you'll like. In other words, there will be new things soon. 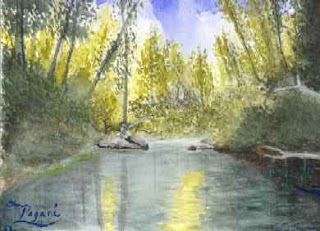 I'm reading: A Good Fishing Spot - Watercolor SketchTweet this!